The Jakotsuyu is a public bath place that is loved by its locals. It is near the Sensoji, which is famous for its sightseeing spot. Recently, the building was renovated. It is barrier free without stair steps, and there are slopes with railings. Therefore, we recommend for elderlies and people with disabilities as well. The Jakotsuyu uses natural hot springs, and is black just like other hot springs in Tokyo. This is because the hot water is dissolved with underground water with grass and leaves. The hot water will warm your body well, and will sustain its warmth after you get out as well. I am happy to tell you that tattoos are permitted. It is traditional style which there is only changing room and bath tubs. It is a small facility, so the distance with other locals is pretty close. Therefore, it is possible to enjoy the downtown atmosphere of Japan. If you’re into deep Japanese culture, we recommend this hot spring place. 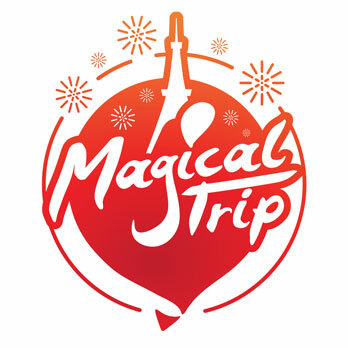 If you want to try to take Sento, you can also join our tour, [“Nostalgic Town Walk Yanaka”](https://www.magical-trip.com/experiences/tokyo-yokohama/nostalgic-town-walk-yanaka/460ceb6f-0099-47a6-a447-2de274da7e9f). You can go to Yanaka, old and famous town of Tokyo, and enjoy your time at a traditional Sento.